This article is about the law of Conservation of Energy in physics. For sustainable energy resources, see Energy conservation. Conservation of energy can be rigorously proven by Noether's theorem as a consequence of continuous time translation symmetry; that is, from the fact that the laws of physics do not change over time. A consequence of the law of conservation of energy is that a perpetual motion machine of the first kind cannot exist, that is to say, no system without an external energy supply can deliver an unlimited amount of energy to its surroundings. For systems which do not have time translation symmetry, it may not be possible to define conservation of energy. Examples include curved spacetimes in general relativity or time crystals in condensed matter physics. Ancient philosophers as far back as Thales of Miletus c. 550 BCE had inklings of the conservation of some underlying substance of which everything is made. However, there is no particular reason to identify this with what we know today as "mass-energy" (for example, Thales thought it was water). Empedocles (490–430 BCE) wrote that in this universal system, composed of four roots (earth, air, water, fire), "nothing comes to be or perishes"; instead, these elements suffer continual rearrangement. In 1605, Simon Stevinus was able to solve a number of problems in statics based on the principle that perpetual motion was impossible. In 1639, Galileo published his analysis of several situations—including the celebrated "interrupted pendulum"—which can be described (in modern language) as conservatively converting potential energy to kinetic energy and back again. Essentially, he pointed out that the height a moving body rises is equal to the height from which it falls, and used this observation to infer the idea of inertia. The remarkable aspect of this observation is that the height to which a moving body ascends on a frictionless surface does not depend on the shape of the surface. In 1669, Christiaan Huygens published his laws of collision. Among the quantities he listed as being invariant before and after the collision of bodies were both the sum of their linear momentums as well as the sum of their kinetic energies. However, the difference between elastic and inelastic collision was not understood at the time. This led to the dispute among later researchers as to which of these conserved quantities was the more fundamental. In his Horologium Oscillatorium, he gave a much clearer statement regarding the height of ascent of a moving body, and connected this idea with the impossibility of a perpetual motion. Huygens' study of the dynamics of pendulum motion was based on a single principle: that the center of gravity of a heavy object cannot lift itself. In 1687, Isaac Newton published his Principia, which was organized around the concept of force and momentum. However, the researchers were quick to recognize that the principles set out in the book, while fine for point masses, were not sufficient to tackle the motions of rigid and fluid bodies. Some other principles were also required. 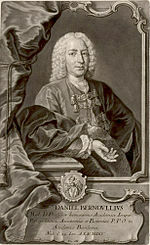 The law of conservation of vis viva was championed by the father and son duo, Johann and Daniel Bernoulli. The former enunciated the principle of virtual work as used in statics in its full generality in 1715, while the latter based his Hydrodynamica, published in 1738, on this single conservation principle. Daniel's study of loss of vis viva of flowing water led him to formulate the Bernoulli's principle, which relates the loss to be proportional to the change in hydrodynamic pressure. Daniel also formulated the notion of work and efficiency for hydraulic machines; and he gave a kinetic theory of gases, and linked the kinetic energy of gas molecules with the temperature of the gas. This focus on the vis viva by the continental physicists eventually led to the discovery of stationarity principles governing mechanics, such as the D'Alembert's principle, Lagrangian, and Hamiltonian formulations of mechanics. its speed. On this basis, Châtelet proposed that energy must always have the same dimensions in any form, which is necessary to be able to relate it in different forms (kinetic, potential, heat…). 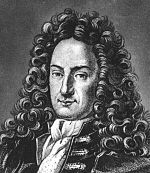 Engineers such as John Smeaton, Peter Ewart, Carl Holtzmann, Gustave-Adolphe Hirn and Marc Seguin recognized that conservation of momentum alone was not adequate for practical calculation and made use of Leibniz's principle. The principle was also championed by some chemists such as William Hyde Wollaston. Academics such as John Playfair were quick to point out that kinetic energy is clearly not conserved. This is obvious to a modern analysis based on the second law of thermodynamics, but in the 18th and 19th centuries the fate of the lost energy was still unknown. Gradually it came to be suspected that the heat inevitably generated by motion under friction was another form of vis viva. In 1783, Antoine Lavoisier and Pierre-Simon Laplace reviewed the two competing theories of vis viva and caloric theory. Count Rumford's 1798 observations of heat generation during the boring of cannons added more weight to the view that mechanical motion could be converted into heat, and (as importantly) that the conversion was quantitative and could be predicted (allowing for a universal conversion constant between kinetic energy and heat). Vis viva then started to be known as energy, after the term was first used in that sense by Thomas Young in 1807.
which can be understood as converting kinetic energy to work, was largely the result of Gaspard-Gustave Coriolis and Jean-Victor Poncelet over the period 1819–1839. The former called the quantity quantité de travail (quantity of work) and the latter, travail mécanique (mechanical work), and both championed its use in engineering calculation. In a paper Über die Natur der Wärme(German "On the Nature of Heat/Warmth"), published in the Zeitschrift für Physik in 1837, Karl Friedrich Mohr gave one of the earliest general statements of the doctrine of the conservation of energy in the words: "besides the 54 known chemical elements there is in the physical world one agent only, and this is called Kraft [energy or work]. It may appear, according to circumstances, as motion, chemical affinity, cohesion, electricity, light and magnetism; and from any one of these forms it can be transformed into any of the others." A key stage in the development of the modern conservation principle was the demonstration of the mechanical equivalent of heat. The caloric theory maintained that heat could neither be created nor destroyed, whereas conservation of energy entails the contrary principle that heat and mechanical work are interchangeable. In the middle of the eighteenth century, Mikhail Lomonosov, a Russian scientist, postulated his corpusculo-kinetic theory of heat, which rejected the idea of a caloric. Through the results of empirical studies, Lomonosov came to the conclusion that heat was not transferred through the particles of the caloric fluid. In 1798, Count Rumford (Benjamin Thompson) performed measurements of the frictional heat generated in boring cannons, and developed the idea that heat is a form of kinetic energy; his measurements refuted caloric theory, but were imprecise enough to leave room for doubt. The mechanical equivalence principle was first stated in its modern form by the German surgeon Julius Robert von Mayer in 1842. Mayer reached his conclusion on a voyage to the Dutch East Indies, where he found that his patients' blood was a deeper red because they were consuming less oxygen, and therefore less energy, to maintain their body temperature in the hotter climate. He discovered that heat and mechanical work were both forms of energy and in 1845, after improving his knowledge of physics, he published a monograph that stated a quantitative relationship between them. Meanwhile, in 1843, James Prescott Joule independently discovered the mechanical equivalent in a series of experiments. In the most famous, now called the "Joule apparatus", a descending weight attached to a string caused a paddle immersed in water to rotate. He showed that the gravitational potential energy lost by the weight in descending was equal to the internal energy gained by the water through friction with the paddle. Over the period 1840–1843, similar work was carried out by engineer Ludwig A. Colding, although it was little known outside his native Denmark. Both Joule's and Mayer's work suffered from resistance and neglect but it was Joule's that eventually drew the wider recognition. For the dispute between Joule and Mayer over priority, see Mechanical equivalent of heat: Priority. In 1844, William Robert Grove postulated a relationship between mechanics, heat, light, electricity and magnetism by treating them all as manifestations of a single "force" (energy in modern terms). In 1846, Grove published his theories in his book The Correlation of Physical Forces. In 1847, drawing on the earlier work of Joule, Sadi Carnot and Émile Clapeyron, Hermann von Helmholtz arrived at conclusions similar to Grove's and published his theories in his book Über die Erhaltung der Kraft (On the Conservation of Force, 1847). The general modern acceptance of the principle stems from this publication. In 1850, William Rankine first used the phrase the law of the conservation of energy for the principle. In 1877, Peter Guthrie Tait claimed that the principle originated with Sir Isaac Newton, based on a creative reading of propositions 40 and 41 of the Philosophiae Naturalis Principia Mathematica. This is now regarded as an example of Whig history. Matter is composed of such things as atoms, electrons, neutrons, and protons. It has intrinsic or rest mass. In the limited range of recognized experience of the nineteenth century it was found that such rest mass is conserved. Einstein's 1905 theory of special relativity showed that it corresponds to an equivalent amount of rest energy. This means that it can be converted to or from equivalent amounts of other (non-material) forms of energy, for example kinetic energy, potential energy, and electromagnetic radiant energy. When this happens, as recognized in twentieth century experience, rest mass is not conserved, unlike the total mass or total energy. All forms of energy contribute to the total mass and total energy. For example, an electron and a positron each have rest mass. They can perish together, converting their combined rest energy into photons having electromagnetic radiant energy, but no rest mass. If this occurs within an isolated system that does not release the photons or their energy into the external surroundings, then neither the total mass nor the total energy of the system will change. The produced electromagnetic radiant energy contributes just as much to the inertia (and to any weight) of the system as did the rest mass of the electron and positron before their demise. Likewise, non-material forms of energy can perish into matter, which has rest mass. Thus, conservation of energy (total, including material or rest energy), and conservation of mass (total, not just rest), each still holds as an (equivalent) law. In the 18th century these had appeared as two seemingly-distinct laws. The discovery in 1911 that electrons emitted in beta decay have a continuous rather than a discrete spectrum appeared to contradict conservation of energy, under the then-current assumption that beta decay is the simple emission of an electron from a nucleus. This problem was eventually resolved in 1933 by Enrico Fermi who proposed the correct description of beta-decay as the emission of both an electron and an antineutrino, which carries away the apparently missing energy. is the change in the internal energy of the system. means "that amount of energy lost as the result of work". Thus one can state the amount of internal energy possessed by a thermodynamic system that one knows is presently in a given state, but one cannot tell, just from knowledge of the given present state, how much energy has in the past flowed into or out of the system as a result of its being heated or cooled, nor as the result of work being performed on or by the system. Entropy is a function of the state of a system which tells of limitations of the possibility of conversion of heat into work. is a small change in the entropy of the system. Temperature and entropy are variables of state of a system. is the internal energy per unit mass of the added mass, measured in the surroundings before the process. 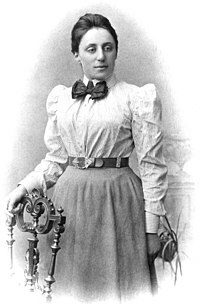 Emmy Noether (1882-1935) was an influential mathematician known for her groundbreaking contributions to abstract algebra and theoretical physics. The conservation of energy is a common feature in many physical theories. From a mathematical point of view it is understood as a consequence of Noether's theorem, developed by Emmy Noether in 1915 and first published in 1918. The theorem states every continuous symmetry of a physical theory has an associated conserved quantity; if the theory's symmetry is time invariance then the conserved quantity is called "energy". The energy conservation law is a consequence of the shift symmetry of time; energy conservation is implied by the empirical fact that the laws of physics do not change with time itself. Philosophically this can be stated as "nothing depends on time per se". In other words, if the physical system is invariant under the continuous symmetry of time translation then its energy (which is canonical conjugate quantity to time) is conserved. Conversely, systems which are not invariant under shifts in time (an example, systems with time dependent potential energy) do not exhibit conservation of energy – unless we consider them to exchange energy with another, external system so that the theory of the enlarged system becomes time invariant again. Conservation of energy for finite systems is valid in such physical theories as special relativity and quantum theory (including QED) in the flat space-time. With the discovery of special relativity by Henri Poincaré and Albert Einstein, energy was proposed to be one component of an energy-momentum 4-vector. Each of the four components (one of energy and three of momentum) of this vector is separately conserved across time, in any closed system, as seen from any given inertial reference frame. Also conserved is the vector length (Minkowski norm), which is the rest mass for single particles, and the invariant mass for systems of particles (where momenta and energy are separately summed before the length is calculated—see the article on invariant mass). Thus, the rule of conservation of energy over time in special relativity continues to hold, so long as the reference frame of the observer is unchanged. This applies to the total energy of systems, although different observers disagree as to the energy value. Also conserved, and invariant to all observers, is the invariant mass, which is the minimal system mass and energy that can be seen by any observer, and which is defined by the energy–momentum relation. In general relativity, energy–momentum conservation is not well-defined except in certain special cases. Energy-momentum is typically expressed with the aid of a stress–energy–momentum pseudotensor. However, since pseudotensors are not tensors, they do not transform cleanly between reference frames. If the metric under consideration is static (that is, does not change with time) or asymptotically flat (that is, at an infinite distance away spacetime looks empty), then energy conservation holds without major pitfalls. In practice, some metrics such as the Friedmann–Lemaître–Robertson–Walker metric do not satisfy these constraints and energy conservation is not well defined. The theory of general relativity leaves open the question of whether there is a conservation of energy for the entire universe. In quantum mechanics, energy of a quantum system is described by a self-adjoint (or Hermitian) operator called the Hamiltonian, which acts on the Hilbert space (or a space of wave functions) of the system. If the Hamiltonian is a time-independent operator, emergence probability of the measurement result does not change in time over the evolution of the system. Thus the expectation value of energy is also time independent. The local energy conservation in quantum field theory is ensured by the quantum Noether's theorem for energy-momentum tensor operator. Note that due to the lack of the (universal) time operator in quantum theory, the uncertainty relations for time and energy are not fundamental in contrast to the position-momentum uncertainty principle, and merely holds in specific cases (see Uncertainty principle). Energy at each fixed time can in principle be exactly measured without any trade-off in precision forced by the time-energy uncertainty relations. Thus the conservation of energy in time is a well defined concept even in quantum mechanics. ^ Richard Feynman (1970). The Feynman Lectures on Physics Vol I. Addison Wesley. ISBN 978-0 -201-02115-8. ^ Planck, M. (1923/1927). Treatise on Thermodynamics, third English edition translated by A. Ogg from the seventh German edition, Longmans, Green & Co., London, page 40. ^ Witten, Edward (1981). "A new proof of the positive energy theorem" (PDF). Communications in Mathematical Physics. 80 (3): 381–402. Bibcode:1981CMaPh..80..381W. doi:10.1007/BF01208277. ISSN 0010-3616. ^ Gibney, Elizabeth (2017). "The quest to crystallize time". Nature. 543 (7644): 164–166. Bibcode:2017Natur.543..164G. doi:10.1038/543164a. ISSN 0028-0836. PMID 28277535. Archived from the original on 2017-03-13. ^ Janko, Richard (2004). "Empedocles, "On Nature"" (PDF). Zeitschrift für Papyrologie und Epigraphik. 150: 1–26. ^ Hagengruber, Ruth, editor (2011) Émilie du Chatelet between Leibniz and Newton. Springer. ISBN 978-94-007-2074-9. ^ Arianrhod, Robyn (2012). Seduced by logic : Émilie du Châtelet, Mary Somerville, and the Newtonian revolution (US ed.). New York: Oxford University Press. ISBN 978-0-19-993161-3. ^ Mayer, J.R. (1845). Die organische Bewegung in ihrem Zusammenhange mit dem Stoffwechsel. Ein Beitrag zur Naturkunde, Dechsler, Heilbronn. ^ Grove, W. R. (1874). The Correlation of Physical Forces (6th ed.). London: Longmans, Green. ^ "On the Conservation of Force". Bartleby. Retrieved April 6, 2014. ^ William John Macquorn Rankine (1853) "On the General Law of the Transformation of Energy," Proceedings of the Philosophical Society of Glasgow, vol. 3, no. 5, pages 276-280; reprinted in: (1) Philosophical Magazine, series 4, vol. 5, no. 30, pages 106-117 (February 1853); and (2) W. J. Millar, ed., Miscellaneous Scientific Papers: by W. J. Macquorn Rankine, ... (London, England: Charles Griffin and Co., 1881), part II, pages 203-208: "The law of the Conservation of Energy is already known—viz. that the sum of all the energies of the universe, actual and potential, is unchangeable." ^ Jensen, Carsten (2000). Controversy and Consensus: Nuclear Beta Decay 1911-1934. Birkhäuser Verlag. ISBN 978-3-7643-5313-1. ^ Brown, Laurie M. (1978). "The idea of the neutrino". Physics Today. 31 (9): 23–8. Bibcode:1978PhT....31i..23B. doi:10.1063/1.2995181. ^ Wilson, F. L. (1968). "Fermi's Theory of Beta Decay". American Journal of Physics. 36 (12): 1150–1160. Bibcode:1968AmJPh..36.1150W. doi:10.1119/1.1974382. ^ Griffiths, D. (2009). Introduction to Elementary Particles (2nd ed.). pp. 314–315. ISBN 978-3-527-40601-2. ^ Born, M. (1949). Natural Philosophy of Cause and Chance, Oxford University Press, London, pp. 146–147. MISN-0-158</>§small> The First Law of Thermodynamics (PDF file) by Jerzy Borysowicz for Project PHYSNET.